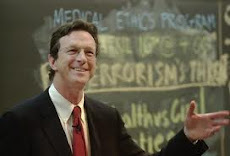 Recently, People magazine published their annual “Most Beautiful People” list and I was reminded of Michael Crichton, who once was on the list and featured in the May 4, 1992 issue. That Crichton was never again on the list is a poor reflection on the staff of People magazine. Seldom has there ever been such a brilliant mind in such a handsome package. That line always makes me think of Michael Crichton. And I thought he had especially beautiful hands.